It is important to remember the most important principle in building your prospect list: the closer you are to people, the more likely they are to give to an organization simply because you ask them. If you ask your spouse to give, they probably will. If you ask your extended family to give, they will most likely donate. Your friends and colleagues? There’s a good chance, less than with your family. That random neighbor you say “hi” to once a month? It’s possible, but not likely. And of course, with random cold calling, it is very unlikely that someone will give, though it is possible. The second essential principle (though less important than closeness) is affinity: who would likely feel moved by the mission of this organization? Who has an affinity for this type of charity? The more a person feels an affinity with the mission of a certain group, the more likely he or she is to give. For example, if you know your boss has a soft spot for dogs, she might be a good target for your SPCA fundraising efforts. Likewise, if your friend volunteers with a homeless shelter, he might be interested in donating to a jobs program for unemployed single mothers. Using the first principle above, closeness, ask yourself: who do I know? What is my donor universe? It’s time to start building a list. Start with your friends and family – your holiday card list. Add in your rolodex / contact list from work, including your colleagues, clients, and vendors. Then, list your personal vendors… your lawyer, account, doctor, your kid’s pediatrician. Then, write down all of your neighborhood contacts, the parents you know from your children’s school, and people from your church or synagogue, and folks from the organizations, clubs, and hobbies you are involved with. Don’t forget to add classmates that you stay in touch with and businesses that you frequent. Then add in the names of the groups you belong to – you’ve already listed the people you know in those groups, but sometimes, the group itself is a good prospect. Finally, list any people you “kind of know” but who you know have an affinity for the cause you are raising funds with. 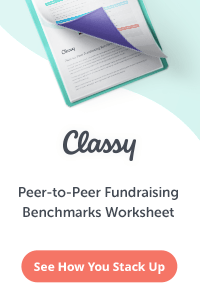 There you have it – your fundraising prospect list… your own personal donor universe. 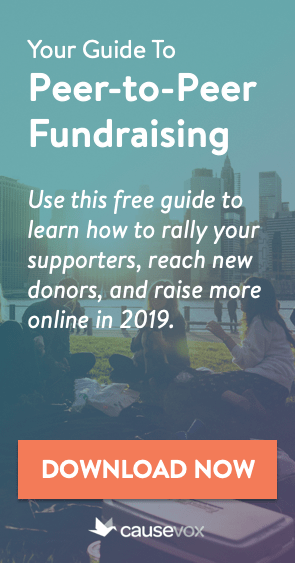 This list will grow and change over time, but the list you build using the steps above will provide a great foundation for your fundraising efforts. When I tell people to start their fundraising lists with their own friends and family, they often say they feel weird and awkward including their friends, colleagues, and family in their fundraising efforts. I tell them that while they might feel awkward, chances are their contacts won’t. You see, if you ask your Uncle Al for a $50 donation, there’s a good chance he’ll make it. If he doesn’t, there’s a good chance he will say, “I can’t right now,” then will forget the whole thing. It is unlikely… very unlikely… that he will feel awkward about the whole thing. Of course, if Uncle Al just lost his job, don’t call him, because then he might feel awkward. Similarly, don’t call Uncle Al six times in two weeks raising money for four different charities… that’s just overkill. 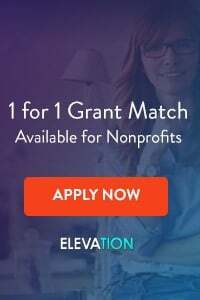 Your mission matters – raising money for your group’s mission is important and necessary to carry our your mission, and your own personal contacts are the best way to start your fundraising efforts. I am being called to start a moms helping moms org. My children are grown and gone. It will be for single moms/dads to be able to get baby care needs met free. ie: clothes, bedding, car seats, toys, food, etc… I just need more info as to start this up. Hello! Thank you so much for your wonderful website- it really helped me a lot. However I need your help, I was asked to make a ten slide presentation for a brand new position of a fundraising manager (to save animals and forests) and I really need your guidance where to start…where do I begin? how do I go developing something which doesn’t exist yet as a position. It’s possibly but scary…will really appreciate any plan or anything you could help with. 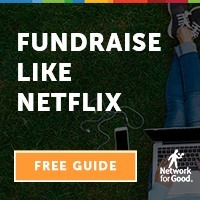 Previous post: Fundraising Isn’t Evil! Next post: What is a Fundraising Ask?